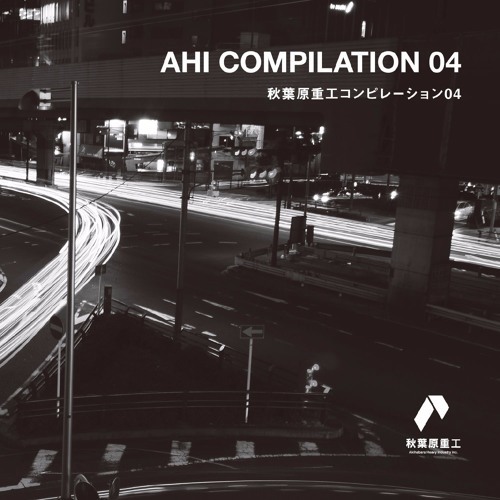 AHI COMPILATION 04 - Crossfade by Akihabara Heavy Industry Inc.
秋葉原重工コンピレーション04 - AHI COMPILATION 04 - 2015.12.31(thu) Release in ComicMarket 89 東ケ-48a Booth 2CD - DirectAudio EVENT: 2,000yen SHOPS: 2,666yen + tax - tracklist - Disc1 01. Mode of Devious / Atsushi Ohara [ LINEAR ] 02. restration / bassmicrobe 03. BassLine Blues / 909state [ AcidWorx / DESTRUCTION BABY ] 04. Metal Welding / TAKAMI［ REBOOT / BUZZ×3 ］ 05. Hexahedron Dub / R-9 [ EPX studio / Body Inform ] 06. LOKSTAT / REBUSTAPE NoiseElectronicDivision 07. Kagu / ガンダーラ十六僧 [ Project MaQ ] 08. cut a session at a swamp / L-eye [ AVSS ] 09. Roll / wat [ THRUST / Body Inform ] Disc2 01. Apex Mech / Nhato [ Otographic Music ] 02. binary structure / 774Müzik [ Kinetic Drums / Hardonize ] 03. Kaijoomar / Homma Honganji [ Adult Records / ビッグファイア ] 04. Construct the core / Atomic [ Technomy ] 05. Mode of Heresy (rion remix) / Atsushi Ohara [ LINEAR ] / remixed by rion 06. Dismantle / Takayuki Kamiya [ Project MaQ / GRAVITOK ] 07. Rage of Iron Insects / Kouki Izumi [ 荒御霊 / technoA ] 08. Gears of Fate / KURAYAMI [ gatearray recordings ] 09. backward / cacono [ flow and stagnation ] Mastering: Hedonist (Katana Bits) Director: Atsushi Ohara, Takayuki Kamiya Producer: Akihabara Heavy Industry Inc. ------------------------------------------------------------ 秋葉原に於いて操業（=開催）しているテクノイベント『秋葉原重工』によるコンピレーションCD第４弾。工業系ハードテクノ、響き渡るミニマル、歪むアシッドトラックなど、全１８トラック仕様。 操業を支える技師たちによる、力強く、荘厳で、巧みなグッドトラックの数々を大ボリューム２枚組に収録。2015年、重工テクノの大決算。 (C)2015 Akihabara Heavy Industry Inc.